Auro Spinning Mills, Baddi, a part of the well-known Vardhman Group, is one of the mills in India where quality matters the most. Auro serves some of the most demanding customers in the world. Established in 1991, Auro Spinning Mills has six internal units equipped with 80,000 spindles and 1,500 rotors. 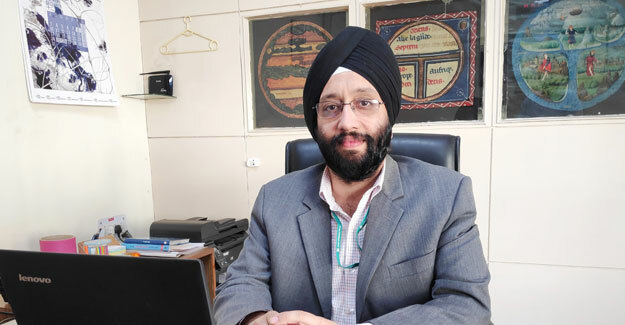 Gurpreet Singh, who is responsible for Auro Spinning, heads a team consisting of around 800 employees who have expertise in running coarse, medium, fine and super fine yarn counts. The average count is Ne 38’s and the finest yarn spun here is compact Ne 200’s with Suvin cotton. Along with cotton yarn, Auro also produces yarn from special blends of linen, wool and silk. Total production sums up to 44 metric tons per day. Auro Spinning Mills is also the centre for all Vardhman units in the Baddi area. A new product development and R&D centre is located here, which takes up challenging assignments to produce special core spun yarn blends of Lycra and other complex products. It is here that Savio winders have been living up to the exacting standards of Vardhman’s customers – this mill has 300 Savio automatic winder drums running mostly on Lycra.